I love Swiss mountains. They are beautiful. And they are everywhere and they are near. You do not have to go 200 miles to see a mountain. There are many mountains that I can see from my apartment. If I want to go hiking to a mountain, 5 or 10 minutes by car and I can already be in the mountain. In 30 minutes of car around my house, there are enough mountains to hike for a year! And we have some very famous mountains such as the Matterhorn or the Jungfrau. But you do not go there every weekend seeing the prices of the cable cars. This one is going to be crazy for some people. But I like that Switzerland is small. From the center of Switzerland, there is nowhere you cannot go in less than four hours. That is awesome. I do not like great distances. And even big cities in Switzerland are still relatively small. And small towns have very good sizes. The capital of my state, Fribourg, is small enough that you can cross it by foot. That is really awesome! When I was in the United States, I was really feeling that it was too big. Another advantage of this is that you can save a lot of time and money for your travel inside your own country! 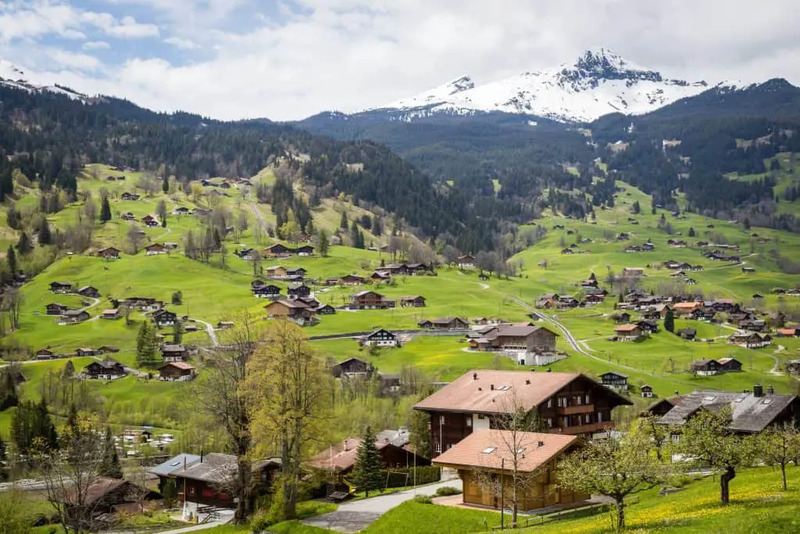 There are a lot of small villages in Switzerland. They are so peaceful and so typical. My village is around 150 people. It is in a small municipality of around 3000 people. This is a perfect size. You can know your neighbors. You can know a lot of people in the village. And you know every place around the village. This is something you do not find in every country. Indeed, small villages tend to disappear in many countries. There are many reasons for me to live in a village. And we are not too far away from the city. Fribourg, the state capital, is about 15 minutes away. I would really not like to live in a city. Swiss chocolate is very famous already. 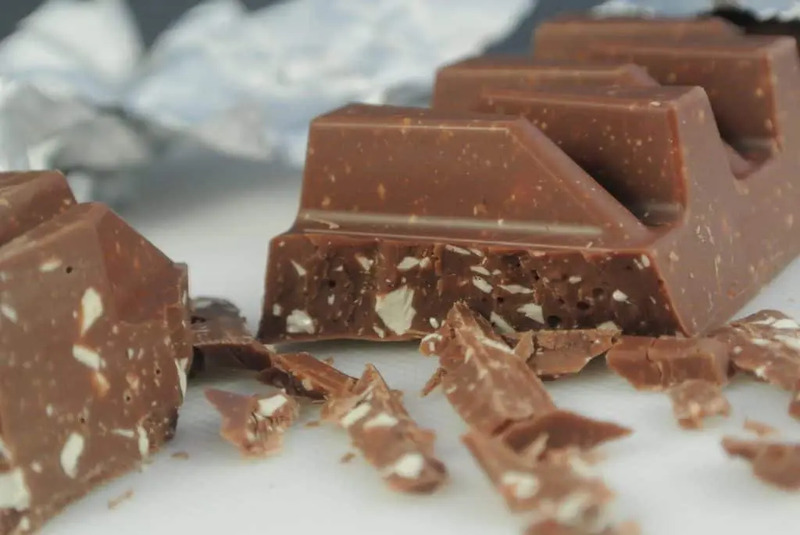 I probably do not have to tell you that Swiss chocolate is very good! We have many great chocolate factories in Switzerland. In fact, there are two factories close to me. In Fribourg, there is a Villars factory. And in Broc, there is a Caillers factory. The latter is a mandatory visit for a lot of people visiting Gruyères. Switzerland has a lot of great cheese. From Gruyères, to Vacherin and even goat cheese. And of course, the very famous cheese fondue. There are many different ones in the different states of Switzerland. 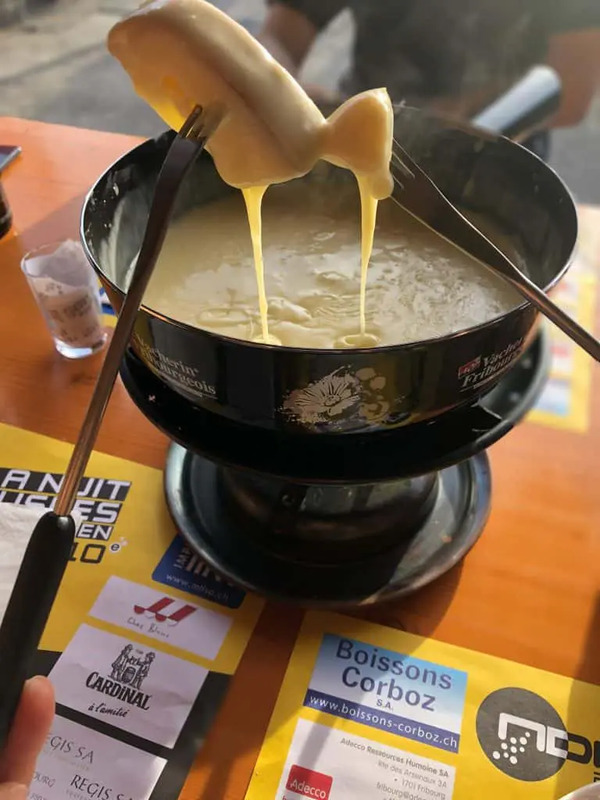 In my region, the most famous is the half and half fondue with half Gruyères and half Vacherin. But a good Vacherin fondue is also awesome.Mrs. The Poor Swiss has been enjoyed Swiss cheese a lot since they joined me in Switzerland. Switzerland is very clean. Streets in cities and villages are being cleaned quite often. And most people in Switzerland are very respectful and do not throw things away. Even in some very touristic places, you can feel it is very clean. I rarely see trash when I go hiking in the mountain. And when I do, I try to take it with me if I carry a bag pack. And inside places are also generally very clean. You can sit on the ground in most places. I think this is a good sign. There are many countries I have been where I would not sit on the ground in any place. I wish more people in other countries would have the same mentality. It does not take a lot of effort to pick up your trash. And even if it is not yours, pick it up anyway! This one is highly related to the other points. I like so much to be able to live in a place very quiet. A lot of the time, the only thing I can hear is the birds and the cowbells. This is awesome. I wish it would be even quieter since I live relatively close to the main road. But quiet and calm is awesome. It is probably only achieved in small villages. But I feel that Switzerland, in general, is quiet and calm. You can find many places where you can really rest. It is really peaceful and more healthy to live in a calm place. It will also ease your stress. And I sleep much better in a calm of Switzerland than in most places. I really feel safe in Switzerland. There was never a time when I did not feel safe in Switzerland. I am not going to say that Switzerland does not have any crime. There is crime of course. Especially in some big cities and even more especially in some places in these cities. There are some parts of some cities where I do not like to go. I have traveled to many countries. And in almost all of them, there was someplace I was not comfortable with. Here, I know many people who let their house open most of the time. Or let their bikes unlocked on the street and find them back every night. I would not go that far myself. But I think it tells something about safety in Switzerland. I really like winter for all the snow that we get. We generally get snow everywhere, even in lower altitude. 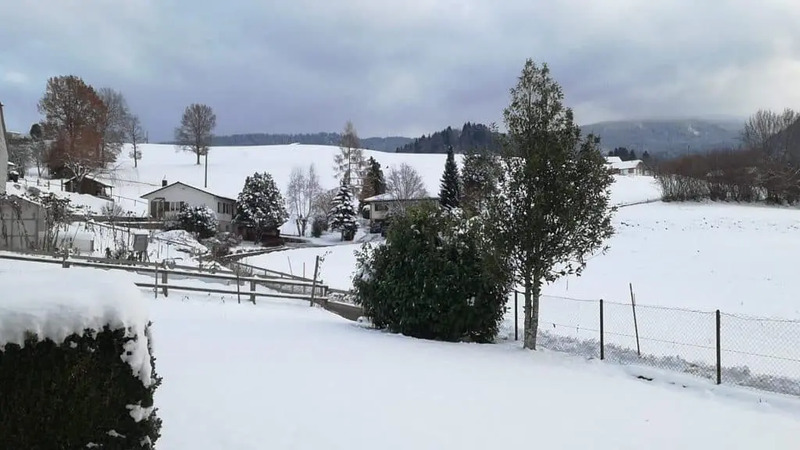 My village is only 700 meters above sea level and we get more than enough snow. This is really great! This is really beautiful. And this allows me to go skiing. Since mountains are quite close, I can go skiing to several places with less than 30 minutes drive. I do not need to drive four hours to go skiing like a lot of places in the world. This saves a lot of time. And this also saves some money! This year it will also be the occasion to try skiing for Mrs. the Poor Swiss! I would really not like living in a place that does not get any snow. Winter should have snow, I think it is the order of things. Even if you need to plow the snow in winter, I think it is totally worth it! This one is starting to wear off. But it is still better than any country I have visited. Most people are very punctual in Switzerland. For instance, if you have an appointment at 9 am, people expect you to be there at 9 am sharp. The most famous example in Switzerland is the train. When the train has a few minutes of delay, they are already announcing it and apologizing for it. This is awesome. If the train is said to leave at 9:02 am, there is very little chance that you can catch it at 9:03 am. I do not like Swiss public trains, but at least, they are on time! 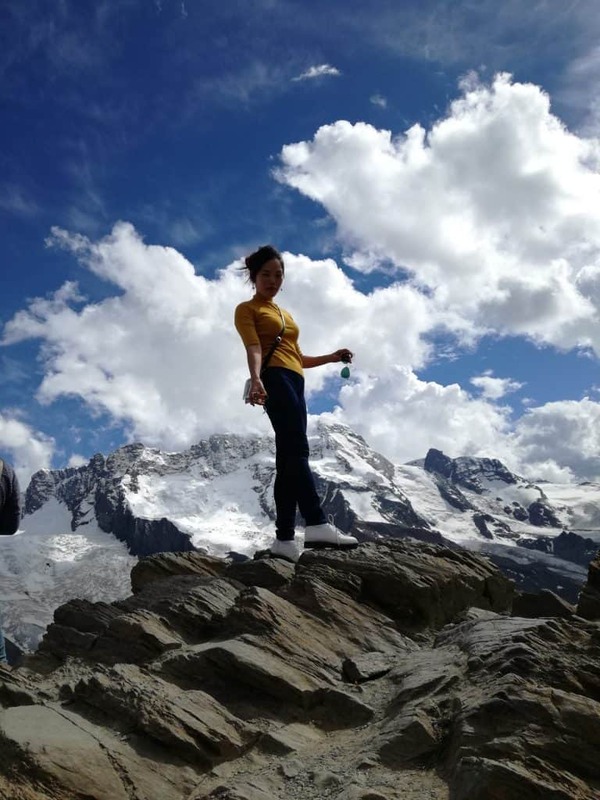 Conclusion – Switzerland is awesome! In conclusion, I believe that life in Switzerland is awesome! From all the countries and places I have traveled, Switzerland is the only place where I want to live! It is beautiful, calm and safe. Everything is close by. You can go to a mountain or a nice lake in less than one hour. You can sleep at night with almost no noise but the bells of the cows. And you can eat great cheese and great chocolate. What else can we ask? What about you? Do you agree with my list? 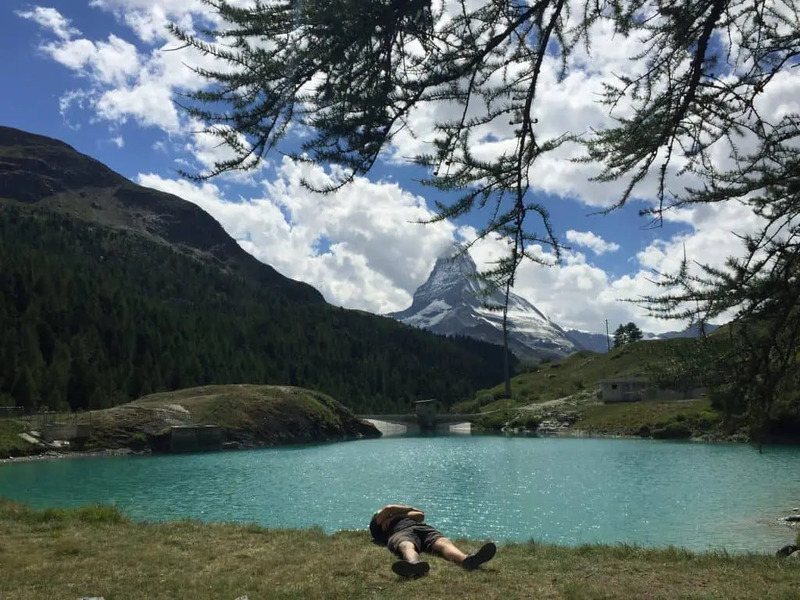 What do you love about Switzerland? What do you love from the hate list ? 🐷🌹a good list ! And I agree with it ! I am from China , actually China is quite safe in big aspect. But it won’t be so safe as switzerland, for example, you can easily get stole if you don’t lock your bike.